KD7 Nike Elite is the first low basketball shoe models that use hyperposite construction totally. The hyperposite that covered the entire upper surface (especially in the forefoot area) seems very exaggerated and less creative. Nike Lebron 11 Jason Petrie’s work in two years ago has hyperposite construction design better than Nike KD7 in supporting performance. The upper construction design in the forefoot area of Nike Lebron 11 basketball shoes (which is known to be very stiff) have better flexibility and better ventilation compared to this shoe. Three reasons for basketball player using Nike KD7 are its cushion construction, its traction performance, and flexibility. 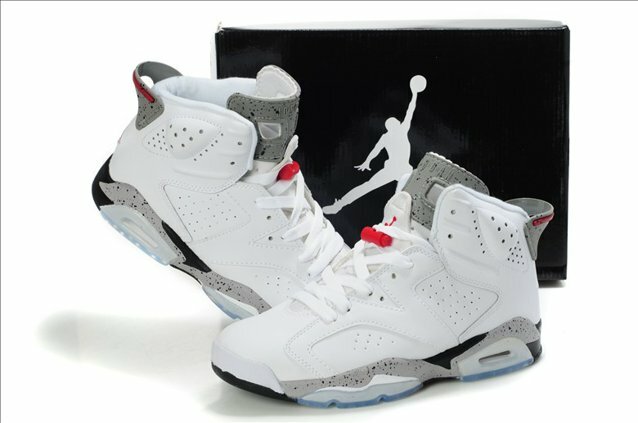 Besides those reason, the main reason for basketball player using low model shoe is for the freedom of movement and flexibility to support the game with high mobility. The forefoot area covered with high-density hyperposite structure, with additional foam padding on the front end of the finger. In Nike KD7 which made from mesh, the fingers can still be injured because of physical trauma (hit, kicked, and trampled), while the material on Nike KD7 Elite is very strong and good to protect the finger. So, you don’t need to worry about the physical contact in the feet due to the style of the game itself / aggressive opponent. 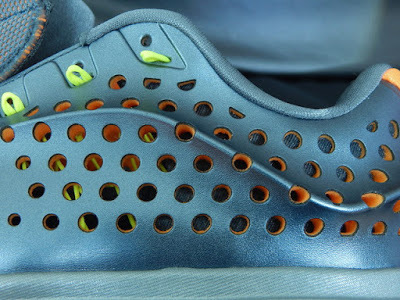 In the midfoot area construction, there are holes with the aim to accommodate ventilation and increase the flexibility of the material. This shoe has a construction and cushion with the same quality as Nike KD7. In the forefoot, there is medium-sized ‘Nike Zoom’ and in the rearfoot there is ‘Nike Zoom’ with maximum size, so the both areas have excellent reaction power. 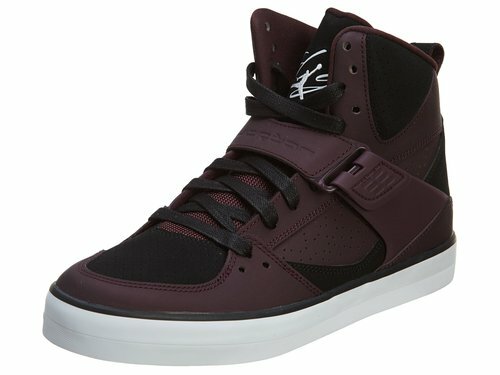 In addition, this shoe also uses phylon midsole that is quite thick, so the foothold in this shoe would feel very comfortable and it has a protection against collision which is excellent. Nike KD7 is the best option for you when you want a most responsive low basketball shoe. Nike KD7 Elite has a very consistent traction performance, both when used in indoor or outdoor. Even the field condition is very dusty. The quality of the traction performance for this shoe is almost comparable to the Nike Kobe 9, but Nike KD7 has stronger and durable outsole with easier maintenance. Based on these conditions, this shoe is one of the best alternative low model shoes for indoor and outdoor, especially for basketball players who rely on speed. Fit to true size (medium) and attached well in all areas of the foot. However, if you have wide feet, better to try the shoe first at the store. Nike Elite KD7 is a hyperposite-constructed shoe with a pretty good degree of comfort. Although the hyperposite construction has strong enough custody to the foot, but you would not feel tight and painful in all area. However, some people with wide feet size felt quite tight on the lateral side of the forefoot (mostly pinkie), but not to cause a pain and injury when used in basketball activities. In addition, a hyperposite material weakness in this aspect is the break-ins took a relatively long time. 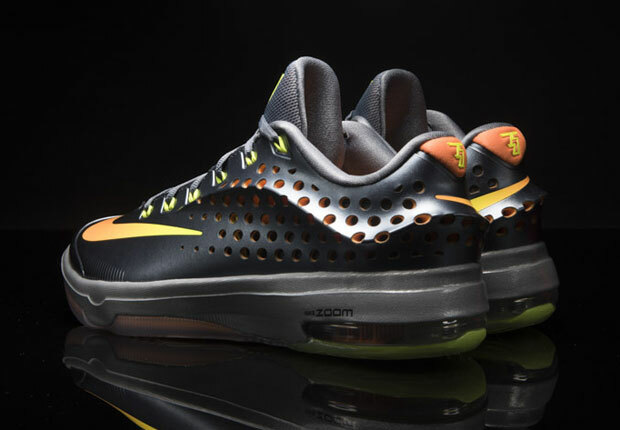 Besides, the strong and stiff material makes your legs more tired than the mesh material on Nike KD7. Hyperposite constructed shoe has a weakness in the aspect of flexibility. The material in the front area feels very stiff and difficult to bend, so it makes the muscles feel tired faster than Nike KD7, which made from mesh. According to that, the shoe is less recommended for forefoot strike runners. Nike Elite version of KD7 was performed with upper construction that is very different from the regular version that was released in 2014. Nike KD7 with upper construction with hybrid concept has the flexibility and support that is very supportive of high mobility player, while the Elite version with hyperposite construction applied to the entire upper area seem very sturdy and resilient like a ‘battle tank’ that reserved for the powerful players who need maximum support and protection. There are alternative with the same class in price and quality. There are Nike Kobe X and Nike Lebron 12 low. 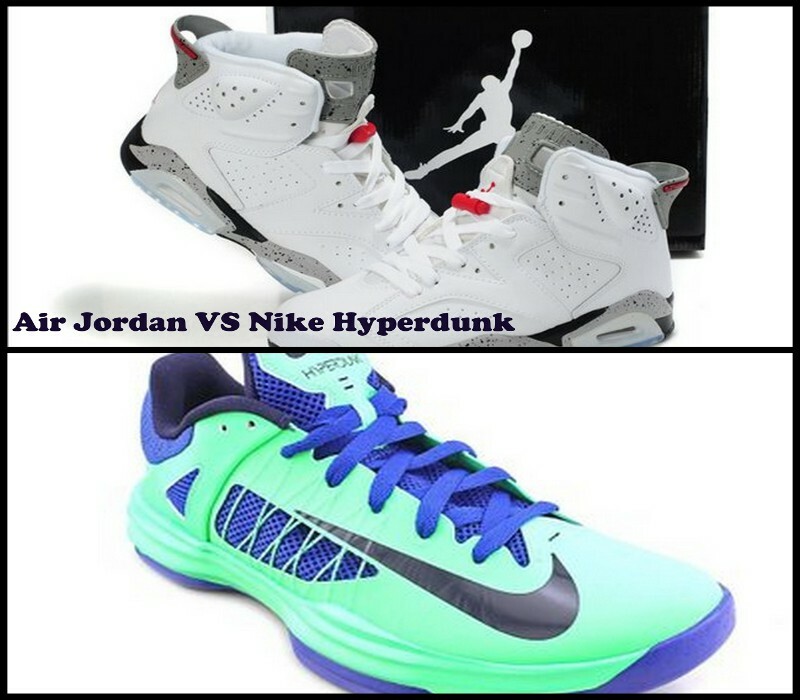 Other alternatives that deserve to be considerate are the Nike Kobe 9 EM/ Elite and Nike KD7 basketball shoe.